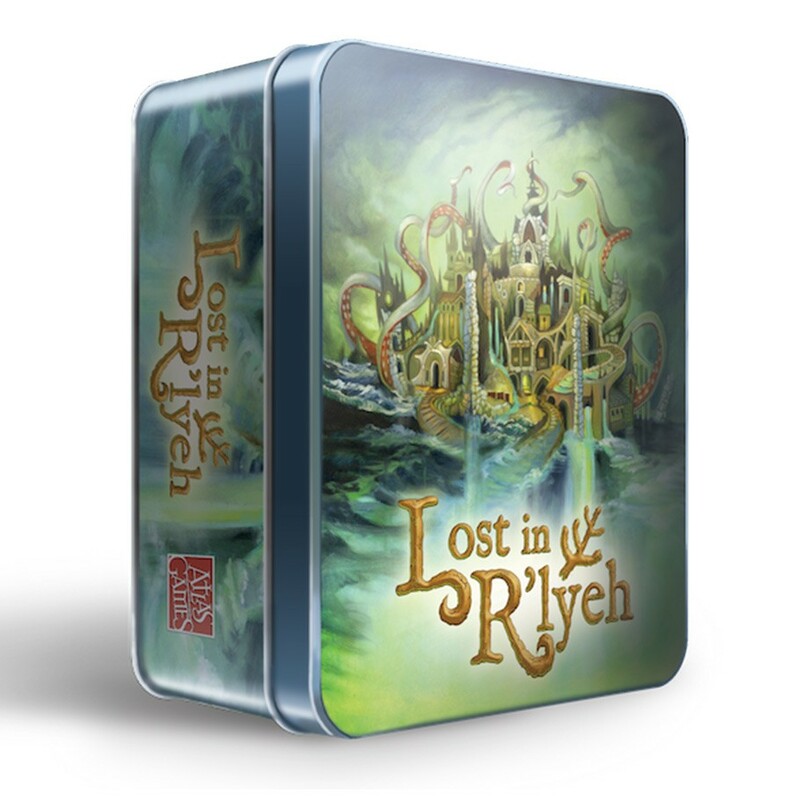 R'lyeh is a terrible and ancient city, risen from the depths of the Pacific by a great curse. There, Cthulhu lies both dead and dreaming, waiting to consume any who venture near. ...although the last player to escape will be the ultimate loser, for that player will be forever lost in R'lyeh! * Most cards have Horror ratings from one to ten, which can be played alone or in sets. Each play's rating must equal or exceed the last. * Sets played trigger more powerful special abilities the larger they are. * Event cards can be played any time and have special capabilities, but most leave the game when used, so their effects are fleeting. * If you can't play on your turn you must pick up the discards. Picking up more cards pushes you further from victory, but presents the opportunity to play larger, more powerful sets.